For the last 18 years, my life revolved around racing down an icy track at up to 140 km/h. 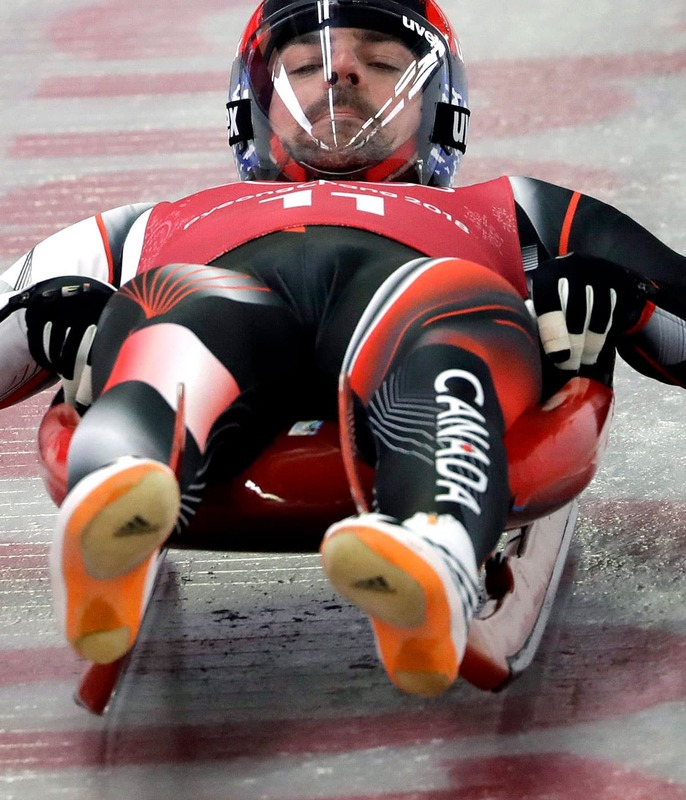 Competing in luge looks risky, but in reality the sport also made life easy: everything was planned and dictated for me from the first day of training each spring. My schedule was set. I knew where I would be and what I’d be doing until the season ended 10 months later. There was peace in that. In the summer, I’d have two, three-hour sessions in the gym each day, training the muscles I wanted to use to be as fast as possible at the start of the run. There was strength training, sport-specific training. Once the competitive season started, I’d be on the road in Europe, doing anywhere from three to five runs a day, building up to weekend races. My goal was to win an Olympic medal — which I achieved in February in Pyeongchang, winning silver in the mixed team relay with Alex Gough, Tristan Walker and Justin Snith. It was my fourth and final Olympics. It was a dream come true. Now, for the first time in my life, I’m having to make my own decisions and set my own schedule. That’s one of the largest adjustments athletes like me have to make when they retire from competition. Figuring out what’s next, and making that transition, can be really difficult. Scary, even. For me, the process really began after the 2014 Olympics, when I decided I wanted to compete for another four years. At the time, I was halfway through my arts and science degree, but I wasn't sure what I wanted to do with it. So I met with Cara Button, a Game Plan advisor, who helped me chart everything out through the next Olympics. I ended up taking a year away from competition, 2015-16, to complete a commerce degree at Royal Roads University in Victoria. At times I wondered whether it was the right decision, whether I was falling behind in sport. But through a number of conversations I was able to realize that I'd been doing the sport for, at the time, 17 years, and I didn't need to worry about that. I’d put in the work and the effort and the years to be at that high level and it takes a long time to lose that. Going to Royal Roads allowed me to bring some balance to my life. I felt more confident, knowing that I wasn’t falling behind, that I wasn’t sacrificing the next stages of my life for sport anymore. I was able to find an equilibrium that worked for me, knowing that I was going to be able to finish school and still pursue my goal, my dream, of winning an Olympic medal. When I came back to the sport I was ready to give everything I had, knowing I had two years left in my career. I was no longer worried about finishing my fourth Olympics and basically having to re-start my life. I think there are moments where you have to be 110 per-cent into your sport — at a certain race or at a certain point in the season or in your career — but there really is a benefit to finding more balance in your life, whether through work or school or family. For me, it was school and family: I got married six months before the Olympics, in August 2017. I’m really lucky because my wife, Elyce Henry, understands the world of high-performance sports. She was a competitive speed skater on the national development team for Canada until she was 26. That’s how we met, eight years ago, through sport. To be an athlete, you have to be an extremely selfish person at times and Elyce was incredibly understanding and supportive through all of that. It made it really easy for me to continue to pursue sport, even after the disappointment of finishing fourth in Sochi, and after her retirement, which was a big transition in our lives together. She was always so supportive and open and honest with me about how she wanted me to continue chasing my dream. I think I almost had a bit of an inside cheat sheet on the process of going through retirement. I saw the transition she went through: the good and the bad, the moments that made it easier and harder. Being able to talk to her about those moments and to have a really open conversation about what my transition was going to look like made the process easier. I don’t know exactly what I want to do for my career and I didn't specialize in a program where my path is dictated for me — and that’s okay. I'm now going through the process of figuring out what my interests are and what I really value in life and I see a number of opportunities. This year, I also want to focus on clean sport. I really want to be part of the movement that's pushing for some change. The transition process has probably been a little easier for me because I left Pyeongchang with a silver medal. It's still hard to put into words what it felt like to win that medal. It was the most exhilarating feeling to stand on the podium with my teammates with such a meaningful medal for our team and for the country. We’d finished fourth in Sochi after a really strong season, just a 10th of a second off the podium. Last December, we were told the medal would be upgraded to bronze due to the Russian doping scandal — and then, on Feb.1, the Court of Arbitration for Sport upheld an appeal by the Russians, so we dropped back to fourth. Pyeongchang was also a real moment of relief for us. The work was worth it in the end. There was also relief in knowing that good guys can win sometimes. It just felt like our team deserved it and it was really nice that we were able to experience that. It would be a much different conversation now had we not won that medal. That is the case for so many athletes, and you have to think about what they might be going through internally when they leave competitive sports. Pyeongchang was a really good experience for me and I think that was about being at peace with where I was in my career, and knowing that I was ready to go on to the next thing, regardless of what happened. That was a big part of it, knowing it wasn't all about the Olympics at this point, that there was a life after that. It’s like standing at the start line of a whole new race.